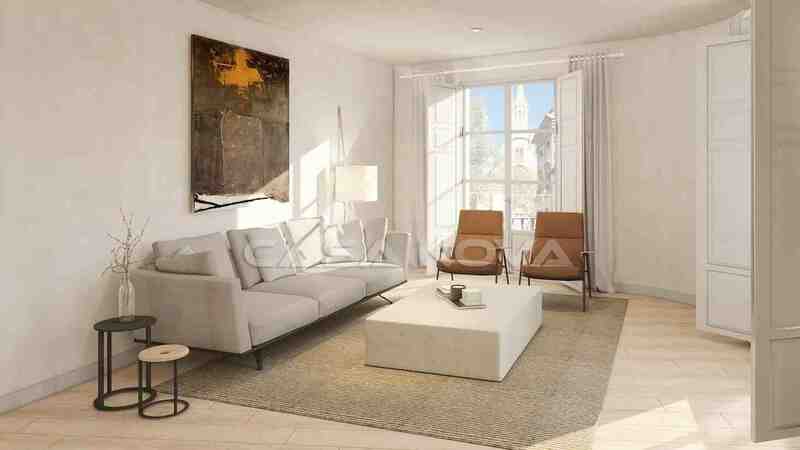 Redeveloped apartment in the old town Mallorca: This redeveloped apartment is situated in the old town of the Capital City of the island, Palma de Mallorca. 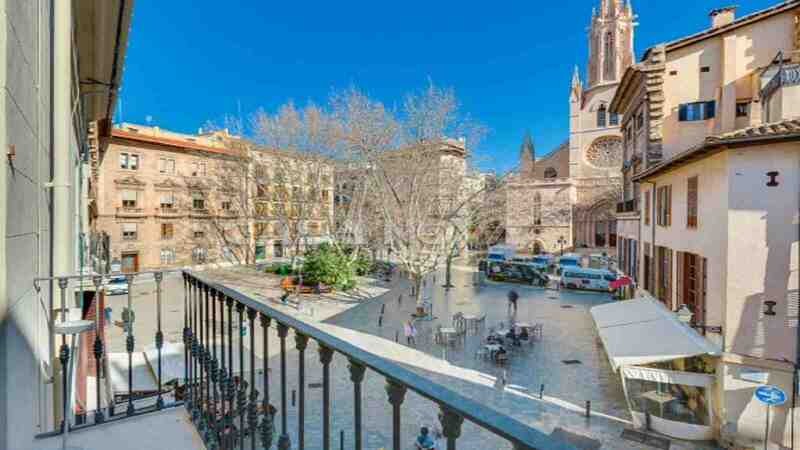 This wonderful redeveloped apartment is located in the center of the old town in Palma de Mallorca. The property has a generous living area of approx. 178 m2 and it consists of a big living room, 2 bedrooms, 2 bathrooms, one of them en suite, as well as a kitchen equipped with electrical appliances. 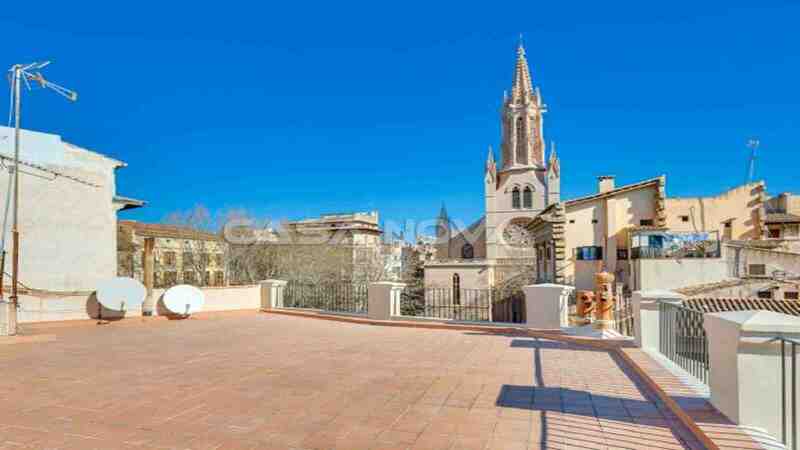 From the living room there is a magnificent view over the Placa de Santa Eulalia with its gothic church. Furthermore, the flat has an access to a fantastic roof terrace of approx. 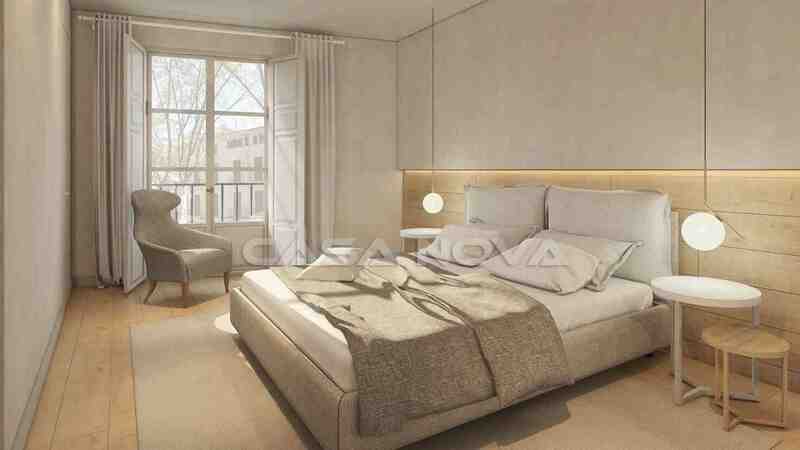 71 m2, from where you can enjoy parcial sea view and views over the roofs and the surroundings. 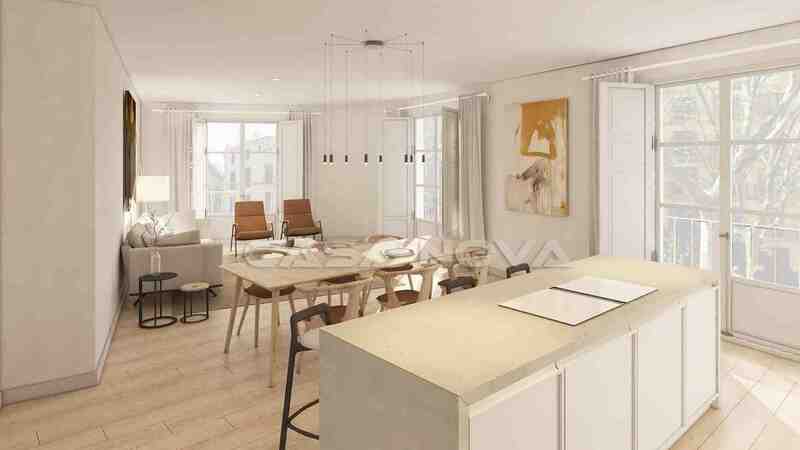 The highlight of this apartment is the spacious room layout, visible wooden ceiling beams and high ceilings. The apartment is equipped with: floor heating, built-in wardrobes, double glazed wooden windows, 2 chimneys and tiled floors. Palma de Mallorca is one of the most beautiful and known cities in the Mediterranean Sea with the head office of the goverment of the Balearic Islands. The old town has a special flair with the variety of shops and bars. In Palma you will find everything: wonderful ports, water sport, culture, shops, restaurants, night life and much more. Palma is the Capital City of the island. The international airport is only 15 minutes away by car. 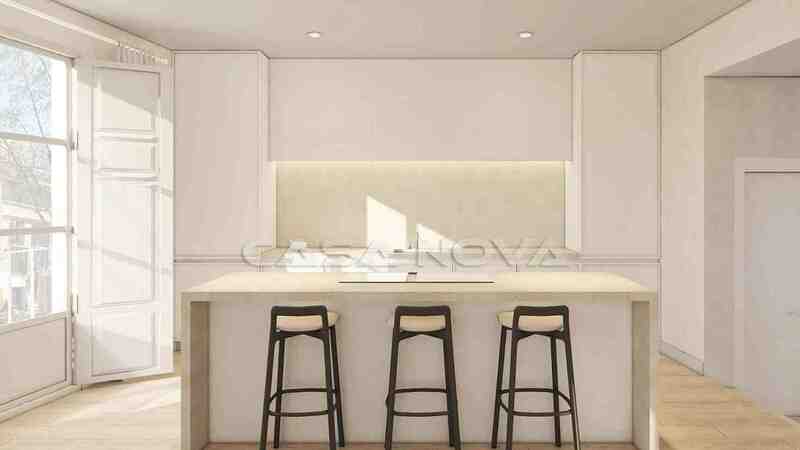 This apartment on Mallorca is presented to you by your leading estate agent Mallorca in the southwest of the island, Casa Nova Properties in Santa Ponsa. To the buyer there originates no agency fee. Further interesting properties you will find here.